Featuring seasonal florals in shades of yellow and gold, this installation is inspired by the Mother River of China – the Yellow River. 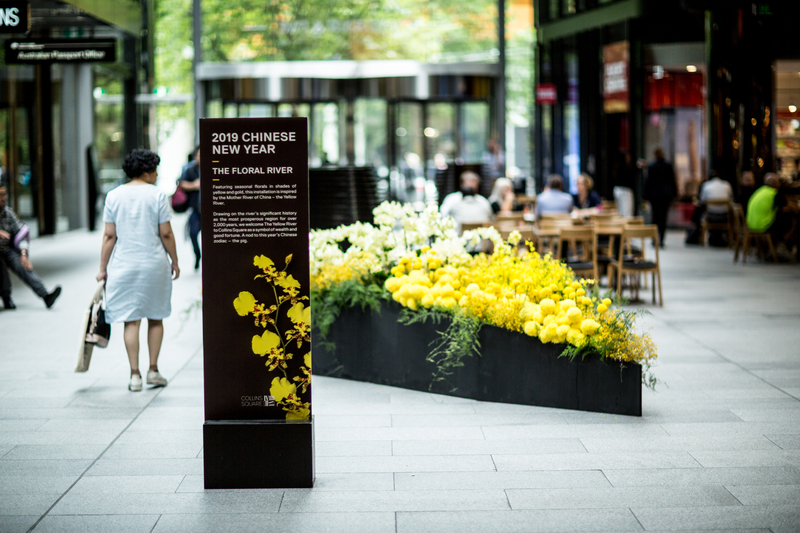 Drawing on the river’s significant history as the most prosperous region for over 2,000 years, we welcome The Yellow River to Collins Square as a symbol of wealth and good fortune. A nod to this year’s Chinese zodiac – the pig.